Ready to fly to 1200 ft? 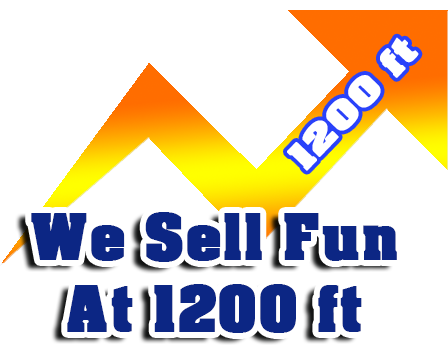 ONLY WE CAN FLY 1200' Because of our long history of maintaining a perfect safety record combined with our 28 years in the business, we are the only parasailing company in the area who uses 1200' of towline. We are given a special waiver by the FAA and our insurer so that we can offer you more of what you are parasailing for: an awesome view and an exhilarating ride! Parasail in Englewood with the areas original and most experienced and ONLY Full-time operator. 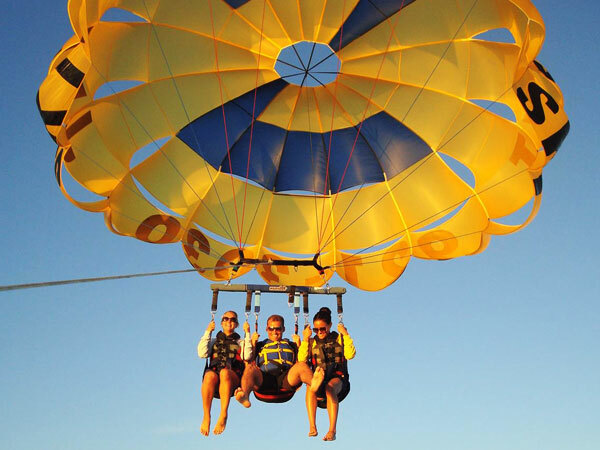 Parasailing is a great family activity and we can fly ages from 5 to 105 years old. If you can sit, you can parasail. 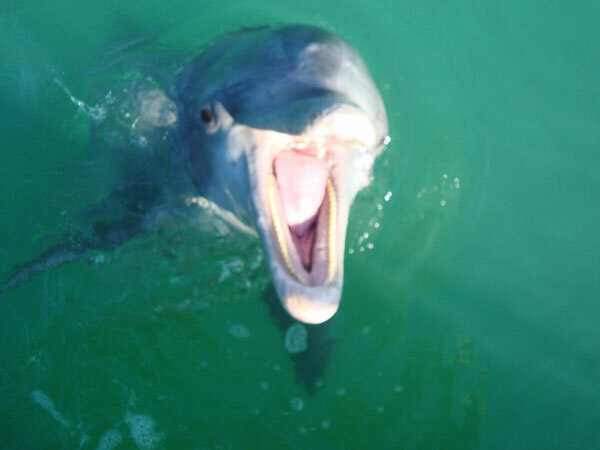 Our trained Captains make parasailing in Englewood Beach so simple that anyone can fly. Englewood Beach Parasailing utilizes the newest technology and systems to provide anyone with a safe, soft, controlled parasailing experience. Our state of the art vessel is built solely for your parasailing enjoyment. Englewood Parasailing Call 833-FLY-1200 for more information or click below! 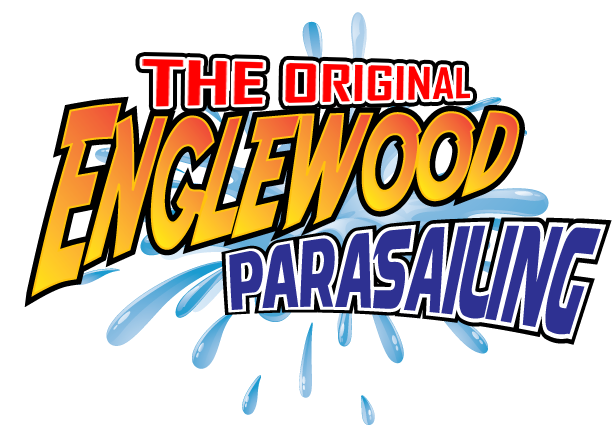 Book Your Englewood Parasailing Adventure Online Now! Englewood's Original and Most Experienced Parasail Operator. We are also Englewood's ONLY year-round operation. We are not part-timers. We are professional parasail captains and therefore nothing is more important to us than your safety and satisfaction. There is no shortcut or substitute for experience. Despite other's claims of more combined experience, there is nobody who comes close to our team's experience as PARASAIL captains: Capt. Dave with 28 years of parasailing, Capt. Tony's 20 years, Capt. Ben's 11 years, Capt. Omar's 8 years, etc . .. These numbers are for FULL-TIME parasailing with about 270 days/ year on a parasail boat. What this means for your family is that you will have a safe, fun, memorable experience and we are honored to be apart of it. 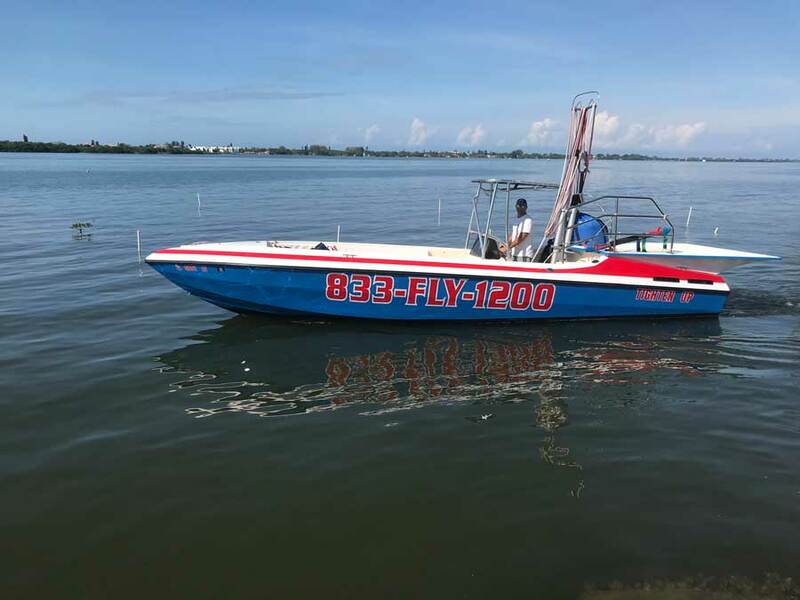 Englewood Parasail's boat has the NEWEST engine, outdrive and winch system in the area. Our 1200' towline is brand new and it is replaced regularly. The parachutes and harnesses are inspected certified by the manufacturer every year. Any minor imperfections are renewed or replaced. These are the critical components for your safety and we are always investing in ways to keep parasailing safe. We go so far as to specify the type of foam in our seat cushions in order to assure your comfort in choppy conditions. Parasailing Englewood PARASAILING WITH ENGLEWOOD BEACH WILL BE THE ”HIGHLIGHT” OF YOUR TRIP. 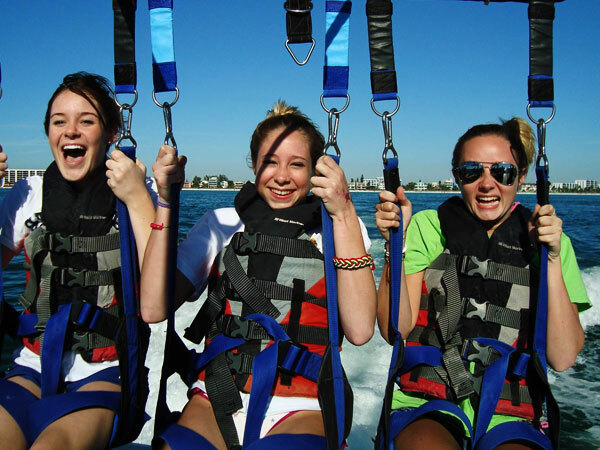 Check out our Englewood Parasailing Gallery of Photos!